Transports Metropolitans de Barcelona (TMB) is responsible for bus services in Catalonia's capital. In order to keep up with the times with the fleet management system, it was necessary to upgrade the mobile services. This was where world market leader SWARCO came into play. The Spanish metropolis of Barcelona not only offers its approximately 1.6 million inhabitants a high quality of life right by the sea, but is also one of the world's most popular travel destinations. What a challenge for public transport! Innovative fleet management is needed to ensure that all participants arrive safely at their destination and that the 1,200 buses reach their 2,500 stops on time. And here we are at the heart of the bus fleet: the SAE - Système d'Aide à l'Exploitation. SAE enables precise localisation of buses and real-time fleet and information management. Public screens and monitors in the buses keep passengers up to date - in addition, the TMB App provides a mobile service. The TMB control centre always has an eye on the traffic, can react immediately to delays and timetable changes and communicate directly with the drivers in the buses. But where is the problem? The daily management of the bus lines is carried out not only via the control centre, but also mobile on the road. And these mobile control services should be further developed and expanded with SAE Mobile. A modern software solution was needed to provide the right tools for regulating traffic on mobile devices and to make optimum use of networked technologies. Said, done! SWARCO adapted its FLASHNET management system specifically to the needs of TMB SAE and fully integrated the individualized solution into the TMB corporate management. Via the web-based user interface in the control centre with over 20 operating stations, the vehicles are mapped in real time and the always up-to-date information is displayed in simple graphics, plans and diagrams. SWARCO company MIZAR started the cooperation with TMB already in the 1990s. 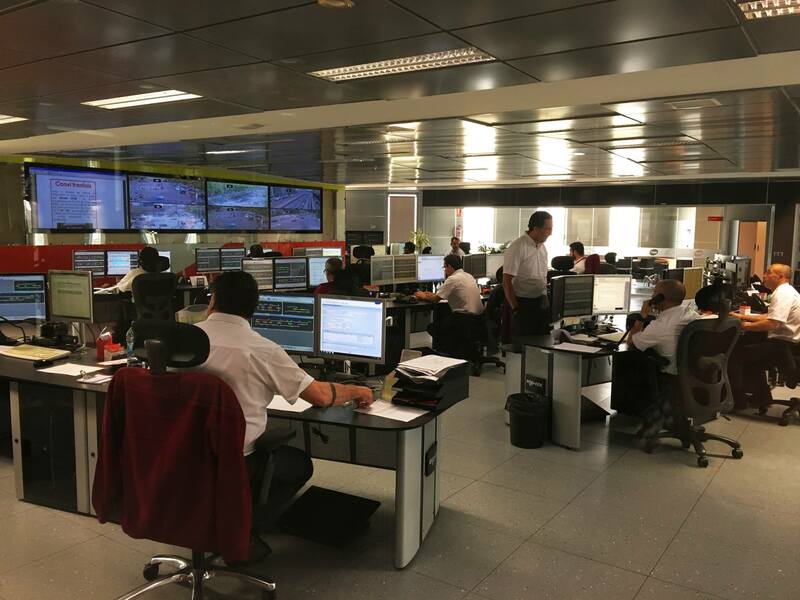 Still today the Public Transport Management in Barcelona is handled with SWARCO technology and continuous service support on site. A reliable cooperation for more than a quarter of a century.